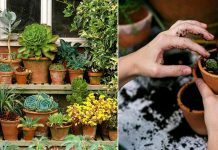 The best thing about the plants we’ve listed here is that most of them can be grown in containers too. Bamboos grow best in warm tropical climate but there are many cold hardy varieties available that you can try under USDA Zones 5-9. To find out the cultivars check out this post on Gardening Know How. Colocasia “Pink China” is one of the hardiest varieties. You can grow it in cold climate down to USDA zones 7 and even zone 6 outdoors on the ground. On the onset of winter mulch heavily with organic matter around the roots of the plant and keep the soil little dry to overwinter it. 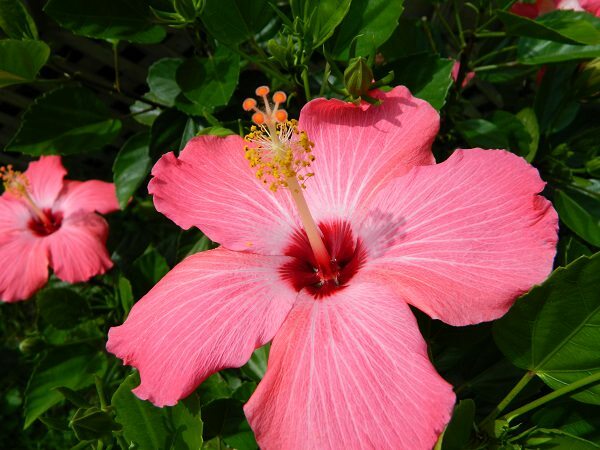 The reason behind the popularity of hibiscus is they are easy to grow and successfully thrive not only in tropics but also in cooler regions. Cold hardy hibiscus hybrids are grown as far north as zone 4. American Meadows has hibiscus varieties for you. Grow giant bird of paradise (Strelitzia Nicolai) to add drama to your garden. 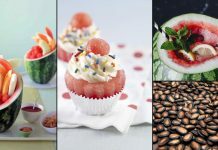 It will give you a real tropical feel. However, bird of paradise grows best in subtropical and tropical climate (USDA Zones 9-11) and you’ll need to grow it in a pot if you live in a temperate region. Needle palm, windmill palm, sago palm are grown in cold climates. Here’s a list of hardiest palms to check. Canna can be grown in pots and on the ground easily. 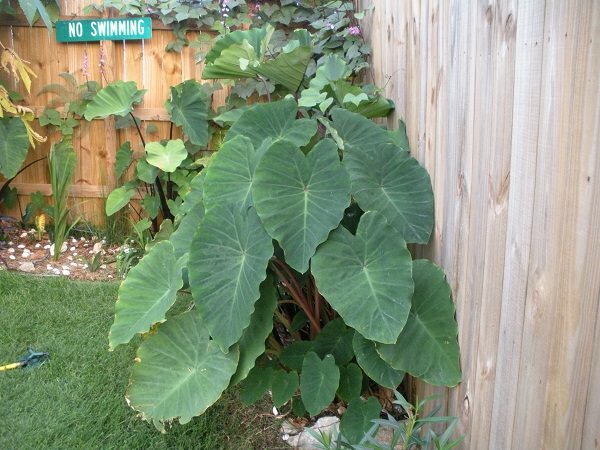 Probably they are one of the easiest tropical plants that you can grow. 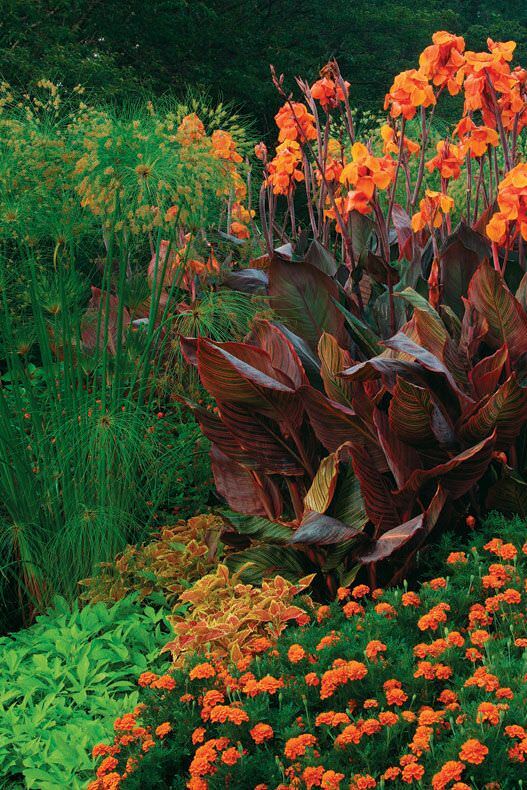 Growing canna will provide you a great foliage show and gaudy flowers and to get that all you have to do is to mulch heavily around the base in winter. You can try growing canna down to USDA Zone 6. 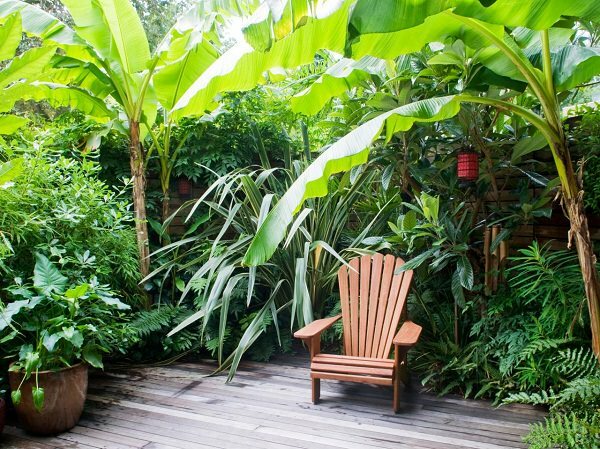 Banana trees add a tropical touch to any garden. You can even grow them in containers. This cold hardy banana cultivar called “Musa basjoo” can be grown in USDA Zones 5-11. 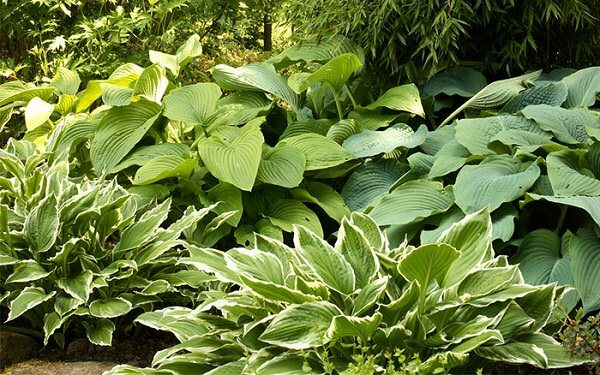 Hostas are great groundcover with the foliage that comes in a variety of shades, they look nice. 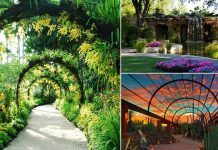 Grow them in USDA Zones 3-10 in shade or partial shade and provide regular watering. 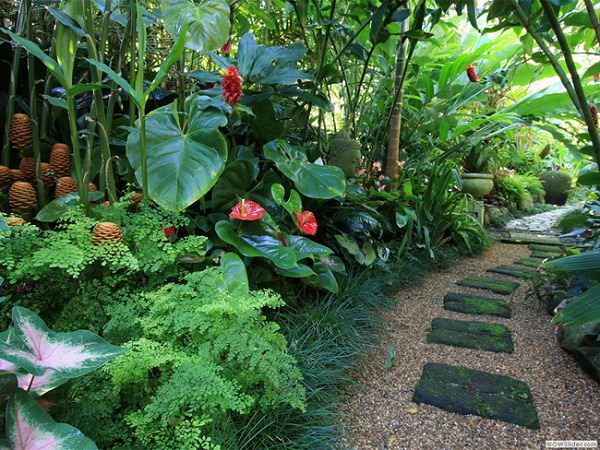 Ferns can be a great addition to your garden to give it a tropical look. Some of the most cold hardy ferns that you can grow are Western maidenhair fern, Lady fern, Christmas fern, Western sword fern, and Common polypody. A beautiful and tough herbaceous perennial that grows in tropics and can be grown in temperates too. 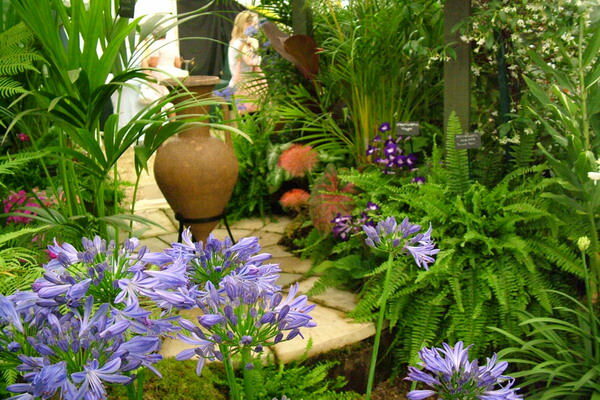 Introduce agapanthus in your garden to add a touch of blue-violet flowers and lush strap-like foliage. It is suitable for containers and borders. 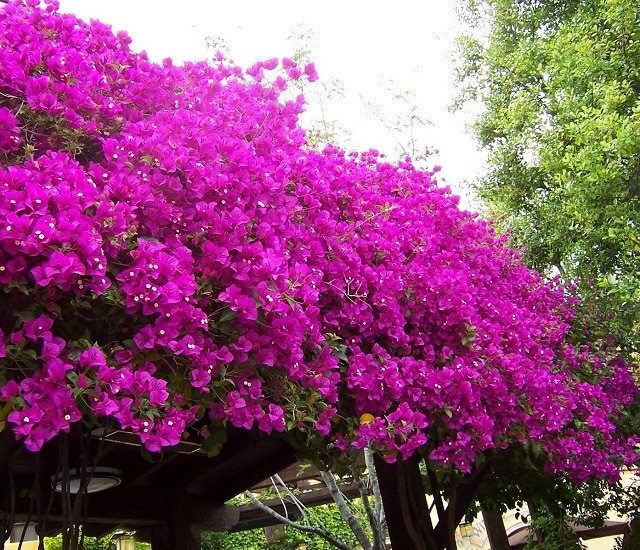 Bougainvillea is a very common plant in tropics. It is a sturdy perennial with lovely paper like flowers. However, bougainvillea is not as cold hardy as agapanthus but you can grow it in containers and move it inside in winters. 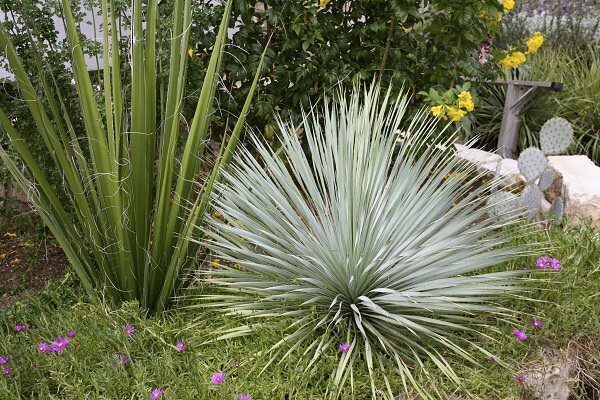 Beaked Yucca (Yucca Rostrata) is the best cold hardy yucca that you can grow outside in cold climates. It grows well in USDA Zones 5-11. To overwinter it, protection from moisture must be provided in the winters in the cooler zones. 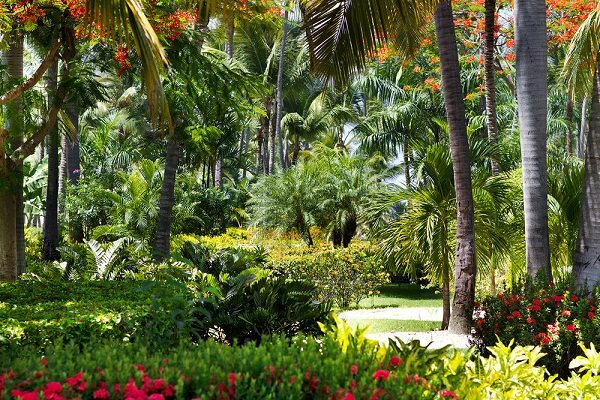 In tropics, flowering vines grow in abundance. Bougainvillea, passiflora, Mandevilla, jasmine are a few names. 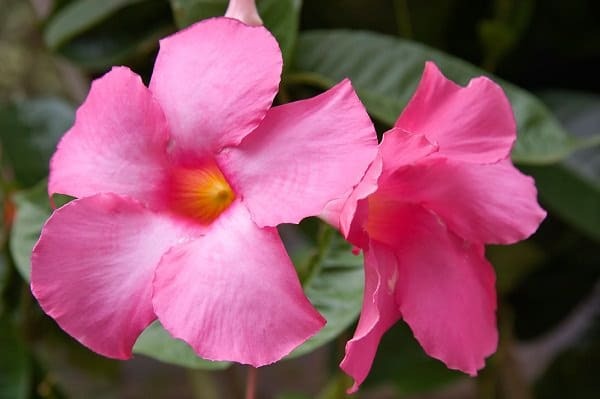 Mandevilla is definitely not a cold hardy plant but you can overwinter it indoors by growing it in the container. 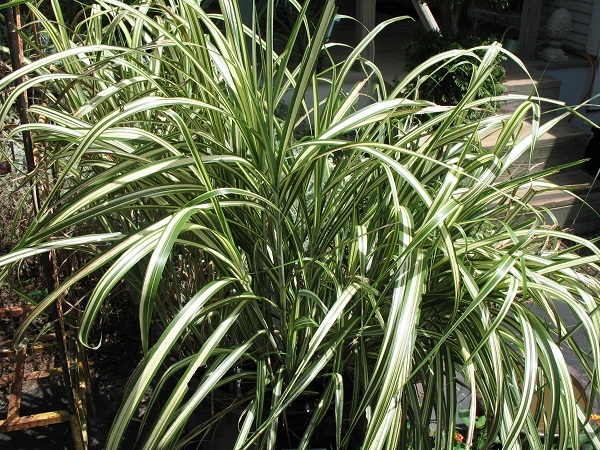 Japanese silver grass grows well in cool temperate regions in USDA zones 5-9. 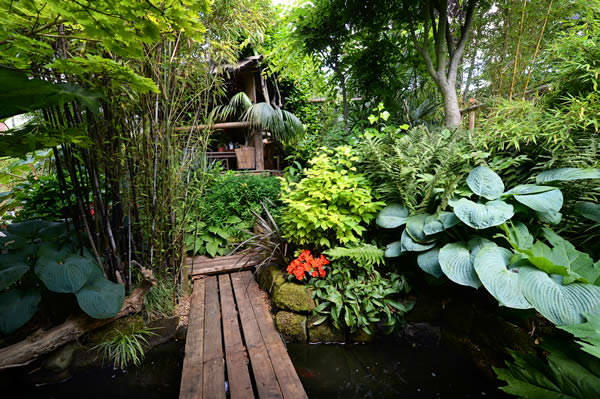 It is a tropical looking plant that can be a wonderful addition to your garden.